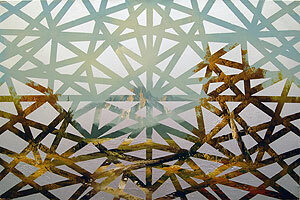 Ian Burnley (born 1985, New York) works primarily in video and 16mm film. 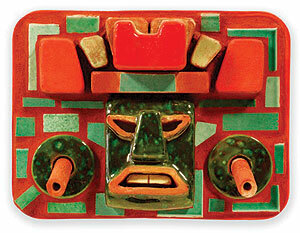 He is interested in the methods by which art can both inform ideas and question misconceptions. His pieces often combine aspects of drawing, collage, performance and film. He is interested in what we see, how we understand, and the meaning of what we do or do not retain. Ian approaches work in a very interdisciplinary way, incorporating methods and materials from a variety of sources. He received his BFA from The Cooper Union For The Advancement Of Science And Art in 2008. 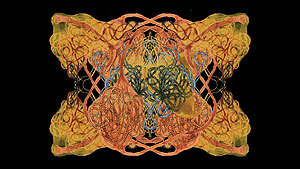 *Untitled (After-Image Video #2) *consists of a series of collages made from gouache and cut paper, then recorded as moving images, to produce an animation. Intense color generates “after-images” that conjure up a visceral experience. 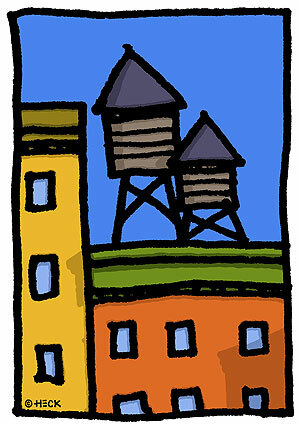 I started my company with a heat press machine in my old apartment in the East Village 10 years ago. Since then the business expanded to a 4color 4station printing press in my garage at home in Queens. In January 2011 we aquired Papa B Studios which was a current occupant of studio B-15. 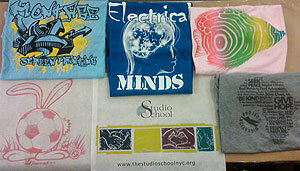 Trident Tees and Designs now offers up to six color printing on state of the art equipment. From tee shirts, athletic wear, glass, plastic, wood and more depending on the needs of our customers. As we continue to grow, passion pride and a caring spirit resonate throughout Trident tees & Designs for the products we produce, but most importantly...For our customers. For the next year we are striving to become an environmentally friendly shop with soy based cleaning and printing products. I have always been intrigued and influenced by patterns and imagery that emerge through a process of demolition and decay. In turn, my paintings have been informed subconsciously by an industrial vocabulary. Painting on stretched canvas and grouping paintings together to form singular works enabled me to explore various juxtapositions of form and pattern. Aerial views of city streets, ancient writing and mosaic are a particular interest of mine. In my painting, I hope to excavate the structure of forms, pulling away their many layers to expose their fundamental elements and detritus. In various works I have grouped paintings adjacent to one another in a mosaic-like motif exemplifying a mode inherent in the ancient traditions of Mediterranean and indigenous design; both are complex and simple and connote and connect the beautiful and the practical. Ancient ruins, decayed frescoes and modern graffiti have all influenced my work. Cassandra Craig is a self taught photographer based in Brooklyn. She is the owner of IOPENMINDS Photography and Digital Darkroom Studios, a studio that specializes in portrait photography. Cassandra credits her “Grandma Craig” and her father for her creative niche and love for music which is the inspiration behind much of her work. Being able to work closely with musicians such as Chrisette Michele, Eric Roberson and Jesse Boykins III has helped Cassandra cultivate a remarkable collection of timeless photos. Cassandra is currently working on her first exhibition “The Blackberry Diary” which is a body of work entirely captured with the use of a BlackBerry. According to Craig, “Modern technology has allowed us to capture and share unexpected moments that would have otherwise been missed. My way of introducing myself to the world is to share mine.” Stay tuned as Cassandra plans to make history with one eye shut. Jared Friedman is a graphic designer and screen printer who has run Econo Graphics in The Morgan Fine Arts & Film Center for the last several years. He prints everything from t-shirts to posters to fine art, for a wide variety of clients from local small businesses to internationally recognized artists, in addition to his own work. Graduating from University in 1999 with a degree in Art History, Camilla moved to London for a career in the fashion industry. After working as a fashion publicist for five years, she brought her very first jewelry collection to Portobello Market in London. Her Art History degree imbued her with a great sense of the past, as well as a strong aesthetic to re-work the old in a fresh, modern way. The signature camilla james aesthetic combines industrial and vintage components with softer elements such as silk and crystals, giving camilla james jewelry the unexpected and modern look for which it is now known. Soon after its introduction on the streets of London, the line was picked up in boutiques across the states, the U.K and Asia, and continues to gain a rapidly growing international following today. 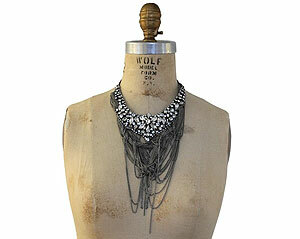 Camilla James currently sells in Bergdorf Goodman, Henri Bendel and Harvey Nichols. The images and objects I make are like lightning rods. They absorb poetry, money, history, and other dark forces. They give as good as they take. 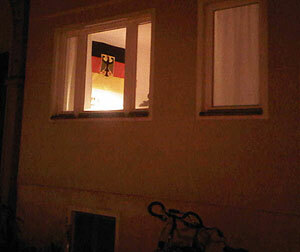 Sometimes they act as windows to an inverted world, and sometimes they are artifacts from that world. Michael Gitlin’s current project, provisionally titled Luxuriant Growth, is an hour-long experimental documentary. Shot and exhibited in HD and incorporating both live action and animation, the film examines certain literary, philosophical and political aspects of delusional thought in schizophrenia, calibrated at scales ranging from the personal to the social. His previous work has been screened at numerous venues, including the Museum of Modern Art in New York, the New York Film Festival, the Toronto International Film Festival, the Full Frame Documentary Festival, and the Whitney Biennial. His film, The Birdpeople, is in the permanent collection of the Museum of Modern Art. He was the recipient of a 2006 Guggenheim Fellowship. His work has also been supported by the Jerome Foundation, the New York State Council on the Arts, and the New York Foundation for the Arts. Gitlin received an MFA from Bard College. He teaches at Hunter College in New York City. Max Greis was born in Manhattan in 1981. He graduated from the School of Visual Arts in 2005, receiving the Alumni Scholarship Award. His ongoing series, The Archaic Armageddon, started with collage paintings, then expanded to mixed media dioramas and digital video works. Combining various landscapes to create a surreal vision, the series explores globalization, global warming, history, and human society. 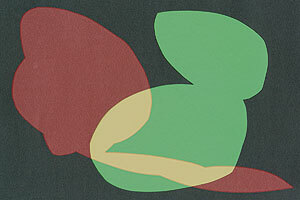 His influences range from Renaissance and Asian art, to Dada and Postmodernism. 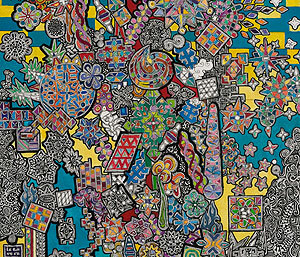 Galleries that have shown his work include: the National Arts Club, the Visual Arts Gallery, the Artist Network, Mighty Tanaka, Pavel Zoubok Gallery, and more. He currently works and lives in Brooklyn. In my work, lines of action help me generate drawing intuitively as well as through shapes and patterns found in many walks of life and cultures. Whether this process emerges from an obsessive compulsive disorder is a legitimate question. Ultimately, though, my goal is to relax viewers and to provoke in them an almost hypnotic state through the explorations of multiple, interconnected forms. I’m interested in synthesizing two traditions in art – a perceptual approach to painting and a surrealist relationship to subject matter. I paint directly from life, and am obsessed with getting the color and temperature of a particular time of day and place. That precision in tone “fixes” the image in time and makes one moment a monumental event. Setting up my still lifes is a bit like the automatic writing of the surrealists: disparate objects seem to arrange themselves. Sometimes I’m somewhat in control of the ensuing narratives, but often the original intentions are absorbed in a larger mystery. I want my paintings and drawings to have the vivid reality of an irrational dream. A graduate of the Yale School of Art, I have exhibited my work throughout the United States, with solo exhibitions in New York City and Houston. Among the grants and awards I’ve received are an Elizabeth Foundation Grant, a New York Foundation for the Arts grant and an Ingram Merrill Foundation Grant, scholarships to Yale, the Skowhegan School and the New York Studio School. 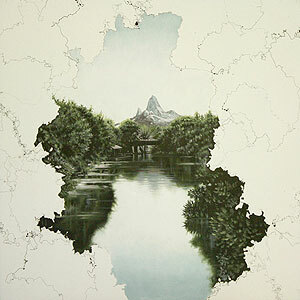 Kim Holleman’s art addresses concepts of utopia, utilitarianism, environmentalism, and ideas about perfect form. She examines how the forms used in the architectural reality of our world connect to our ideas about the natural environment, the sublime and the mundane, and our relationship to conceptual and physical space. Holleman co-opts found physical forms and changes them physically with new matter, created and found. In blending art, science, eco-engineering and architecture; she seeks to highlight issues and provide solutions, however meaningful, absurd, insightful, practical, or visionary. 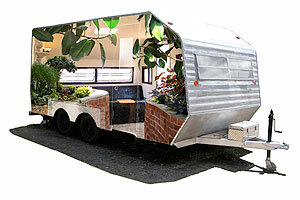 Kim’s most notable work, Trailer Park: A Mobile Public Park, featured in the METRO, Next American City, The NY Times, Village Voice, L Magazine and The Brooklyn Rail, will be parked out front and open for viewing at The Open Studios, don’t miss it! Kim will also have her vintage Playable Landscapes installation on view inside her studio along with new work created for her upcoming solo show at Work Gallery Opening the weekend of June 3rd, 2011. Jesse Langille graduated with a BFA in painting from the Rhode Island School of Design in 2001. 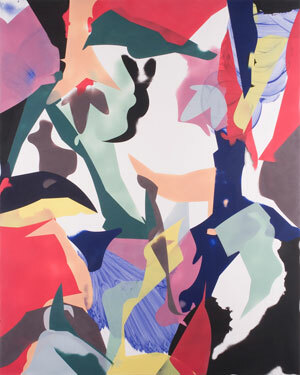 His work develops a unique stenciling process that balances both deliberation and chance in the measured application and removal of abstract shapes to explore depth, motion, color, and form in two-dimensional space. He currently lives and works in Brooklyn, New York. With over a decade in the music industry, TwinJo Entertainment has the expertise and resources to cover any and/or all aspects of their clients’ needs. Whether you’re looking to release your CD independently, signed to a major, or are in need of a demo to showcase your gifts, we can put it together for you. 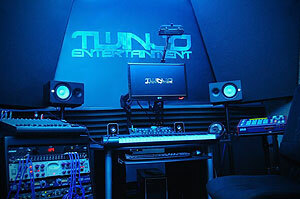 TwinJo Entertainment offers a variety of recording/mixing packages, from basic engineering and mixing to full on production, editing, pre-mix preparation, mastering and arranging/composing. We do 2 track live recordings, multi-track digital recording, and voice over reel, specializing in, but not limited to, urban music such as R&B, Pop, Rock and Hip-Hop. If you need live musicians or singers TwinJo can supply and coordinate the booking of studio musicians ranging from backing vocalists, guitars, horns, strings, even a harpist, as well as professional photography, artwork, promotional materials, CD manufacture, duplication, digital distribution, web layout and design. Past projects include Old Navy and Edy’s Ice cream commercials, a few movies like I Pronounce You Chuck and Larry and Disney’s Stick It. Daniel Maidman is largely self-taught as an artist. He has attended life drawing workshops 2-3 times a week since 1998. He also spent two years working on an anatomical atlas based on human cadaver dissections in which he participated at Santa Monica College, under the guidance of Dr. Margarita Dell. Illustrations from his atlas are in use in the United States Army’s forensic field manual. He moved to New York in 2006. 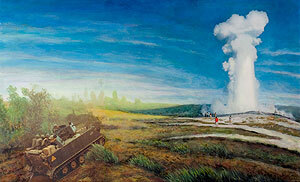 His current paintings range from the figure and portraiture to still lives, machines, and cityscapes. 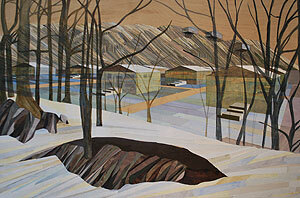 His work has been shown in juried shows at galleries in New York, Ohio, Missouri, and Oregon. He has been a finalist in The Artist’s Magazine’s figurative painting competition (2009, 2010), and his paintings and writing on art have been published by ARTnews, American Art Collector, International Artist, Poets/Artists, SUNY-Potsdam, and the blogging section of artistdaily.com, the online presence of American Artist magazine. 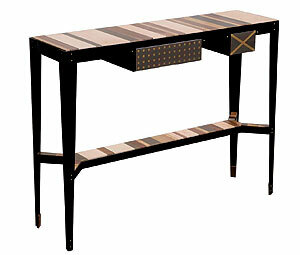 His work is included in numerous private collections. The urban landscapes depicted in my large-scale photographs are partially obstructed by foreground objects such as walls or fences. The barriers act like veils that drape, surround, separate, distort, and conceal in a manner thatboth perplexes and seduces the viewer. The barriers, however, are never completely opaque or impenetrable. We are invited to peek into and look beyond the holes, gaps, tears, and openings in the foreground in order to view fragments of urban landscapes. Although essentially a self-taught artist, Mr. May holds degrees from Rensselaer Polytechnic Institute and the University of Pennsylvania where he studied painting with George Rickey, and Neil Welliver. He is a fellow of the American Academy in Rome where he presented a one-man show of paintings and drawings at the completion of his fellowship. 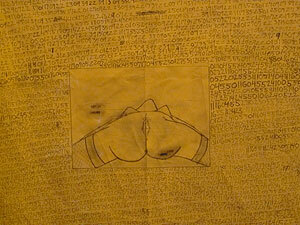 In the spring of 2009 he had a solo show at Art 101 in Williamsburg, Brooklyn. Shane McAdams is an artist, curator and writer living in Brooklyn, NY. He has contributed cultural criticism and art reviews to the Brooklyn Rail since 2003. He has shown his art work at Margaret Thatcher Projects, Janet Kurnatowski, Allegra LaViola Gallery, Marlborough, Chelsea among others. His recent solo exhibitions “Synthetic Landcapes” at Elizabeth Leach Gallery was reviewed in the Huffington Post and the Portland Mercury. He has taught at the Rhode Island School of Design and has served on panels and given guest critiques at Maryland Institute College of Art, School of Visual Arts, the Cooper Union, the Pratt Institute. After playing drums for the punk band “Lunachicks” and touring the world, then working as a model maker for ads like “Absolute Vodka” and the “Dairy Queen Chocolate River”, then making architectural models for Frank Gehry, Ellis Island and the Brooklyn Botanical gardens, McCloskey Carpentry was started around the year 2000. 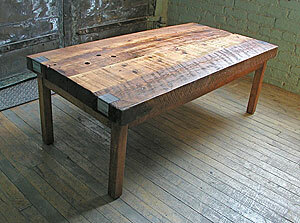 One of the significant early jobs was to make a 24-foot-long bench for the Roebling Tea Room out of a pile of ceiling beams rescued from a dismantled local factory. After sanding through the layers of 100 years of dirt and grime, the colors of the vintage wood came through and the fascination of working with reclaimed wood was born. From there, McCloskey Carpentry started making coffee tables, benches, dining tables, shelving units, both custom and for sale and selling out of a local store called “Golden Calf” at 319 Wythe Avenue in Williamsburg Brooklyn. It has since then expanded into making “slab, live edge” furniture and then also selling in Park Slope at “HomeBody Boutique” on Seventh Avenue and in Milford Pennsylvania at “Up River Home”. McCloskey Carpentry has enjoyed working with an eclectic client list from Gwen Stephani to David Johansen and other New Yorkers looking to support craftsmanship with sustainable local materials. Cheryl Molnar is a collage and multimedia artist based in New York City. Since her childhood in suburban Long Island, she has been attuned to the tension between human progress and nature. Cheryl’s work finds similar development patterns in the mixed-use neighborhood of Greenpoint, Brooklyn, where the artist has lived and worked for the past ten years. During this time, real estate development, along with a fresh wave of gentrification, have significantly altered both the social fabric and the landscape of this formerly working-class enclave. In 2000, Cheryl received a Bachelor of Fine Arts from the Rhode Island School of Design and in 2005, she received a Masters in Fine Arts from Pratt Institute. In the spring, she will be participating in the Smack Mellon artist in residence program. Her work has also been exhibited in galleries across the country including, Carren Golden Fine Art in New York and White Walls Gallery in San Francisco. 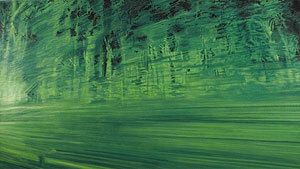 Her work is included in the Microsoft collection and the Cantor Fitzgerald collection. Adam Payne, a Brooklyn-based artist, has channeled his adapting talent into many different mediums. From the canvas, to the test tube, to the wood shop, his focus consistently returns to the contradictory nature of the world. By taking familiar ideologies and combining them in his work, an incorporation of comprehension and apprehension emerges challenging the importance of what is held as true. The decorative is often seen as superficial, but I believe in its power to seduce us into greater depths. Anyone can reflect upon the decorative arts, whether experienced through the mediums of architecture, furniture, wallpaper, or manicured gardens. 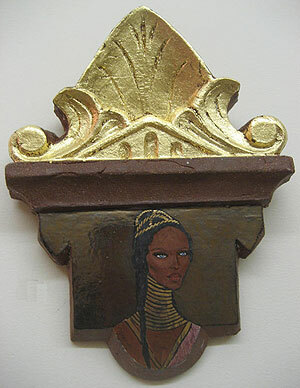 My sculptural works draw on the history of decorative art and how it is perceived. My use of the decorative becomes the code for my language of desire, sexuality, gender, and pleasure. 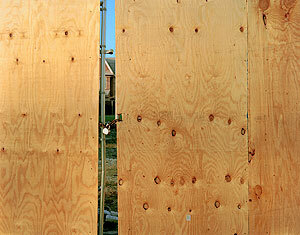 In my most recent works, I am constructing structures from unfinished lumber, a traditional material for building. These sculptures refer to architecture and construction, but are imbued with elements and processes that incorporate the decorative. 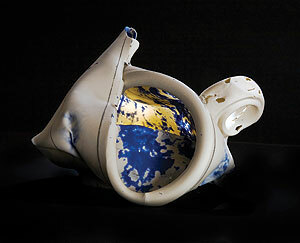 I create ornate visual surfaces using materials such as porcelain, ribbon, and paint. These sculptures exist on the scale of furniture, and are painted with repeating patterns. 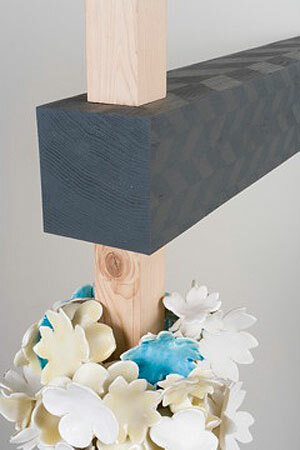 Ornamenting the lumber are delicate porcelain forms made from multiple flower shaped cut outs. These piles are made from thinly cut pieces of fragile porcelain that are fused together with colorful dripping glazes. Within this work, I am creating a dialogue between the viewer’s understanding of structure and ornament, masculine and feminine.Confronted with the formal language of sculpture, ornament and pattern are experienced pervasively. My sculptures provide a forum for the viewer to use their understanding of my materials and processes to make associative connections. Eric Shows is a painter originally from North Texas. His work is primarily acrylic on canvas, all of which is spray applied through various instruments such as airbrush and hvlp guns. He adopted this technique as a means of painting on uneven walls. As he returned to photo-based work from several years of abstract installations, he found it useful to continue the use of the airbrush as it had good synergy with the type of imagery he was interested in (fog, blurry photographs, murky water, and action film stills). Lately he is looking for new ways to combine images to achieve vantage points beyond human vision and to visually capture moments of cognition. 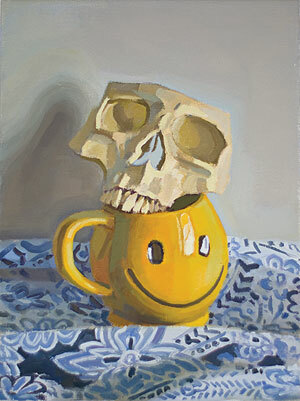 There is also a new series of still life paintings in the works. Cassis is a composer, singer, recording artist and photographer who specializes in scoring films but has toured the US, Europe, Mexico and India with her former band B-Blush and the DJ project scratch’Nsniff (literally: mixing beats while baking sweets). 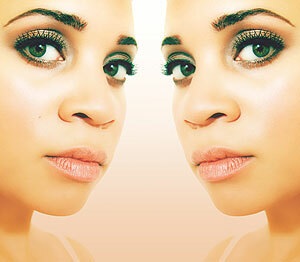 She plays with her new band Cassis and the Sympathies regularly in New York featuring her latest CD Analog Love. In her former life Cassis has produced under the name ‘Birgit Staudt’ music videos of Tom Waits/Neil Young for Jim Jarmusch and also a Cannes award-winning segment of Jarmusch’s Coffee and Cigarettes. She co-directed and produced the Marc Ribot documentary “Descent Into Baldness”. Cassis wrote the theme song ‘Girl Time’ for the Oscar nominated Ferry Tales, and composed the score for the award winning feature Die Boxerin/About A Girl directed by Catharina Deus. Cassis is currently in development writing the music for this director’s new feature film. Her film music band boxerin with bassist Herbie Flowers (of “Walk on the Wild Side”) completed the album flypaperthin. In Takeda’s photography series, Crystal Scape, we are brought into fractal-like landscapes which he reveals through translucent crystals. 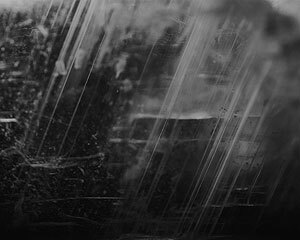 As a result of time compression, and hardened by nature’s process, the texture, cracks, and planes found in them are exposed through his photographic process. 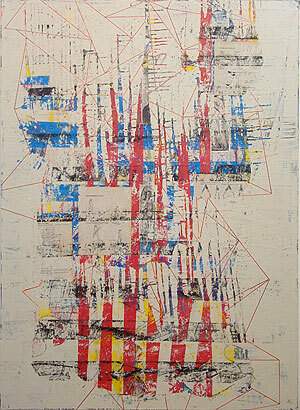 Originally from Japan, where he was born in 1982, Shimpei Takeda has lived and worked in New York City since 2002. 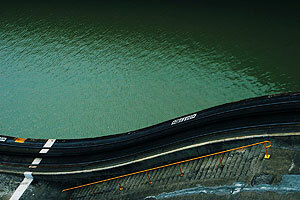 Takeda has been working primarily as a visual artist with photography and video. His work has been shown internationally, including Essl Collection of Contemporary Art, Weisman Art Museum, Austin Museum of Art, Schenectady Museum Suits-Bueche Planetarium and in experimental New York venues such as Issue Project Room, Diapason, and Experimental Intermedia. My own work has always been experimental, using sculpture, ceramic, drawing, photography, video and printmaking to probe media specific parameters and to investigate the tensions between narrative and form. I have had retrospective exhibitions at The St. Louis Art Museum, The Kunstmuseum in Bern, Switzerland, The Newport Harbor Art Museum, and the University Art Museum, Berkeley. 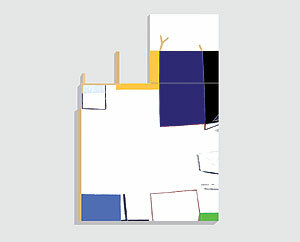 My work is in the permanent collections of these institutions, as well as those of The Victoria and Albert Museum, The Smithsonian Museum, The Museum of Contemporary Art, Los Angeles, The San Francisco Museum of Modern Art, The Arkansas Art Center, The Boston Museum of Fine Arts, Los Angeles County Museum of Art, and a dozen more. I have also shown my work in over 100 group exhibitions internationally since 1969. My work in slip casting has been the subject of a graduate thesis at The Royal College of Art, London. I have been using slip casting techniques to make the forms which I alter to create my sculpture since l969. There are over twenty articles and reviews, in addition to ten catalogues and books, devoted to the critical discussion of my art. I have given over ninety lectures to institutions, including The Chicago Art Institute, The Maryland Art Institute, The Nelson Atkins Museum, and Cooper Union. Among other awards over the years, in l992, I received the National Endowment for the Arts individual fellowship award and the Agnes Bourne Fellowship, Djerassi Foundation. In 2003 a retrospective exhibition and 140 page book with over 100 illustrations and seven essays titled “When Cups Speak…”Life with the Cup, a twenty five year survey had a national tour that began at the Thompson Gallery of Art, California State University, San Jose, California toured the United States and completed its tour at The Schien-Joseph International Museum of Ceramic Arts at Alfred University, Alfred,New York. Studio Vandenberg is a multi-faceted design studio producing custom designs for the interior, home and decorative accessories industries. The company continues to grow and has been labeled as one of New York’s up and coming design studios. Studio Vandenberg strives to create handsome, timeless designs that are well made and can be easily integrated into any decor. All of our objects are designed, developed and fabricated in our Brooklyn-based design studio handcrafted by a select group of artisans. I was born and raised in Williamsburg Brooklyn and have lived in the area all my life, now I live right next door in Greenpoint. I got my Bachelor of Fine Arts degree at Cooper Union and while there studied ceramic design as a mobility student at Parsons. All the sculptural work I showed at Cooper included some ceramic component. I’ve sold my work at The American Craft Museum in NYC, Matter, Jonathan Adler soho, and have shown sculptural work in 31 Grand Gallery in Williamsburg. I also have a teapot in the Art Institute of Chicago. I’m presently ceramic designer/sculptor at Jonathan Adler enterprises. I consider my work simply pottery for the most part. I like to create my own stoneware and porcelain tableware and other household pottery items with my own little twists from self portraits and pet portraits painted onto plates, mugs, etc, to supermodel figurines for tchotchkes. These pieces have a sort of old fashioned traditional look which I’ve always been drawn to. On the opposite end of my spectrum, my more “modernist” work is inspired by bacteria and germs. I find their microscopic forms bizarre and beautiful, and I think they complement my other items nicely. I am now working on some unique porcelain lighting pieces in this style. In addition to their architectural work Tom Winter and Vesta Goodarz photographically explore the language of nature within the context of post-industrial architectural settings. The juxtaposition of incidental urbanism and natural environment creates a language of unintentional but inherent significance.